AUSTIN, June 2, 2016 - Governor Greg Abbott today declared a state of disaster in Austin, Bandera, Bastrop, Brazoria, Brazos, Burleson, Coleman, Colorado, Erath, Fayette, Fort Bend, Grimes, Hidalgo, Hood, Jasper, Kleberg, Lee, Leon, Liberty, Lubbock, Montgomery, Palo Pinto, Parker, Polk, Robertson, San Jacinto, Tyler, Walker, Waller, Washington and Wharton Counties in the State of Texas. On Friday, May 27th, Governor Abbott elevated the activation level of the State Operations Center (SOC) in Austin and continues to urge all Texans to stay on high alert and immediately heed any warnings from their local officials related to this severe flood threat. 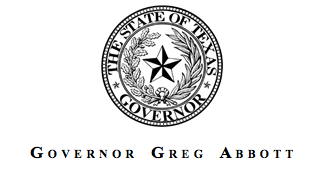 To read Governor Abbott’s disaster declaration, click here. The State Operations Center continues to coordinate with the National Weather Service and their West Gulf River Forecast Center to monitor river conditions. The SOC also continues to coordinate with the Texas Emergency Management Council and is providing state resources and assistance to local leaders as requested. State agencies activated and responding to this event include the Texas Department of Public Safety, Texas Division of Emergency Management, Texas Military Department, Texas Department of State Health Services, Texas A&M Forest Service, Texas Commission on Environmental Quality, Texas General Land Office, Texas A&M Engineering Extension Service/Texas Task Force 1, Texas Department of Transportation, Texas Park and Wildlife Department, Texas Department of Assistive and Rehabilitative Services, Texas Health and Human Services Commission, Texas Animal Health Commission, and the American Red Cross, The Salvation Army, and many other Volunteer Organizations Active in Disaster (VOADS). Remember that dangerous waters can seem deceptively calm, and if you encounter flooding, move to higher ground – turn around, don’t drown. Be extremely cautious of any water on roads or in creeks, streams, storm drains or other areas – never attempt to cross flowing streams or drive across flooded roadways and always observe road barricades placed for your protection. Monitor weather radios and news broadcasts for updated information on current and anticipated severe weather, and heed warnings by local officials - when in doubt, get out! For more safety tips related to severe weather, click here. For up to date information on road conditions/closures, click here.